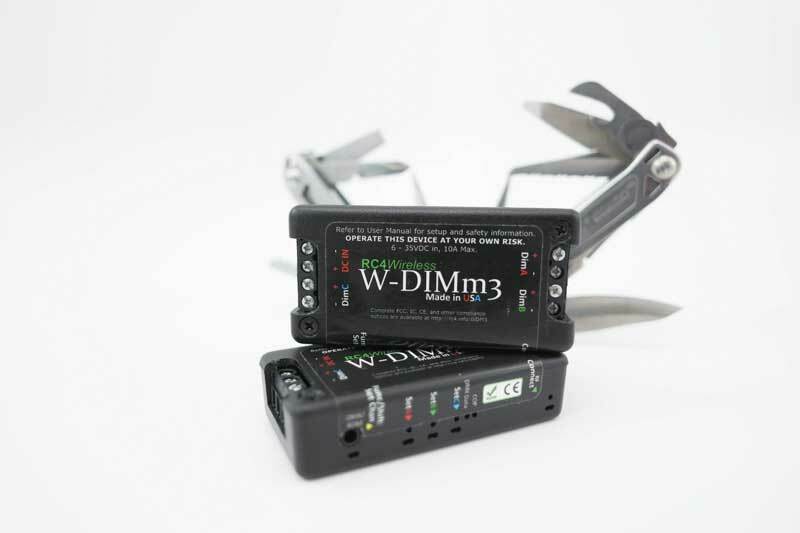 Wireless low-voltage 42A DMX-controlled 6-channel dimmer for theatre and motion picture. 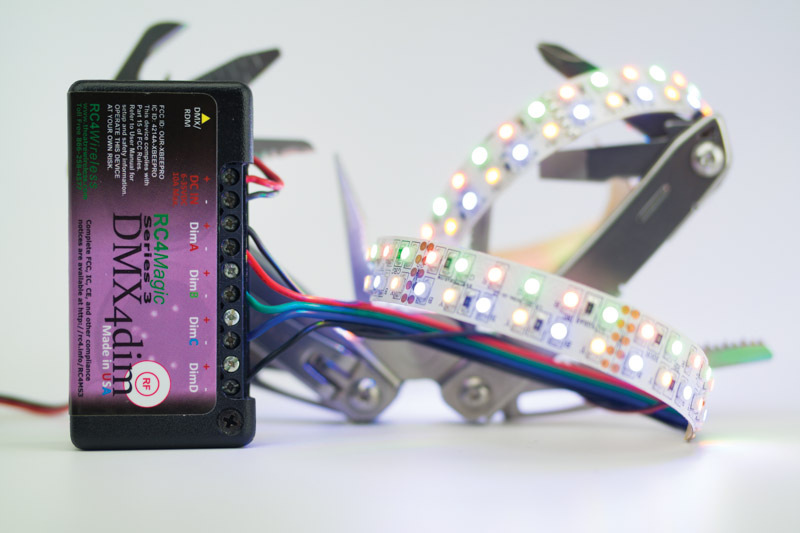 Control LEDs & lamps in props, large set pieces, and more. Genuine Wireless Solution radio technology for compatibility with all W-DMX compatible systems. 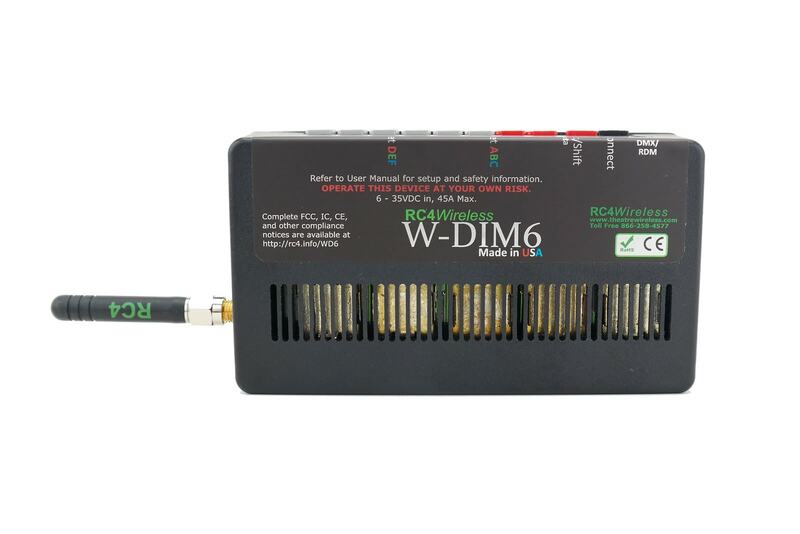 The W-DIM6 is a 42A high-power 6-channel DC dimmer for props, turntables, set pieces, and more. It smoothly dims LEDs and lamps, controls small DC motors with wide-range speed control, and provides many features to optimize color and appearance for a variety of theatre and motion-picture applications. It operates from 6VDC to 35VDC with low heat generation and maximum energy efficiency. All RC4 Series 3 products now include 19-bit dimming, which is eight times finer than 16-bit with 524,000 steps of resolution. This means exceptionally smooth LED dimming, especially at the bottom end of the curve where other dimmers appear steppy and jumpy. 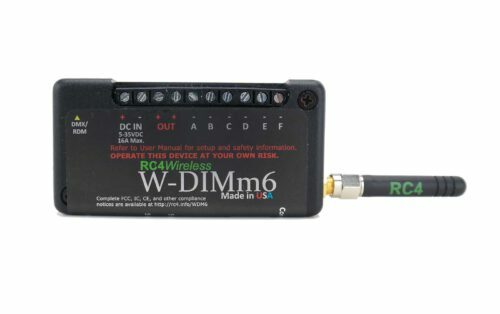 Device configuration is easily done with the built-in RC4 OneTouch™ user interface, or Remote Device Management (RDM) via the wired DMX miniplug port using RDM controllers with E1.37 dimmer configuration capability and RDM sub-device support. 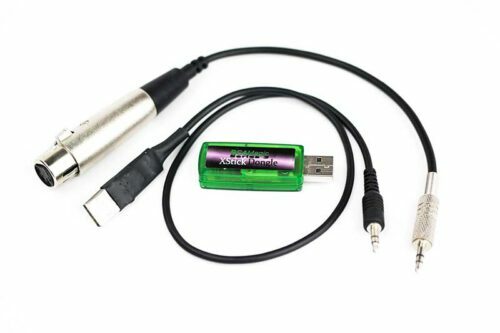 PWM frequencies optimizations for power handling, smoothest resolution, eliminating artifacts in video, and eliminating noise in audio systems. RC4 Digital Persistence A carefully engineered thermal model makes LEDs fade up and down like incandescent and halogen lamps. HSL Color Controller Choose to use Hue/Saturation/Level (brightness) control of color if desired. 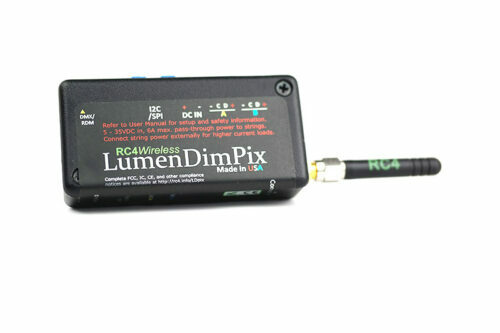 RC4 ColorMatch Match color palettes and white-balance different LED sources from different manufacturers. 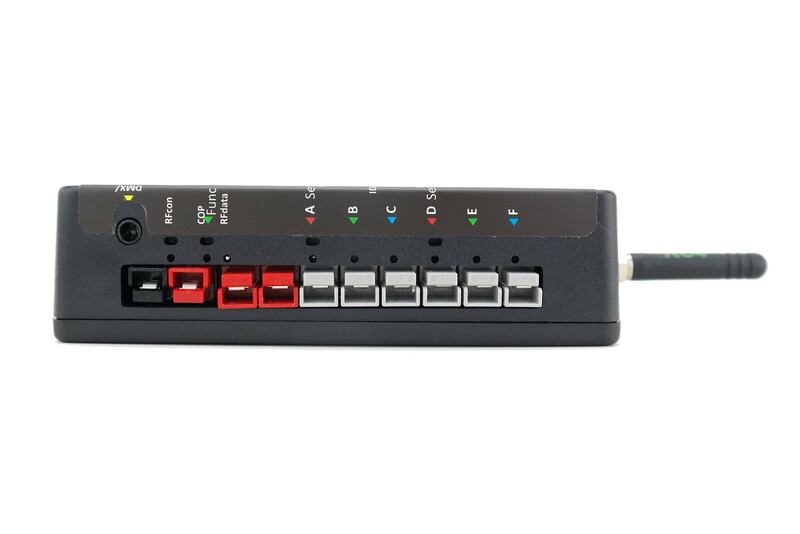 Remote Device Management (RDM) The DMX standard for device configuration, including E1.37 dimmer control extensions. RC4 CodeLoader Update firmware to add features. Since 2014, more than 10 new features have been added at no cost to users! 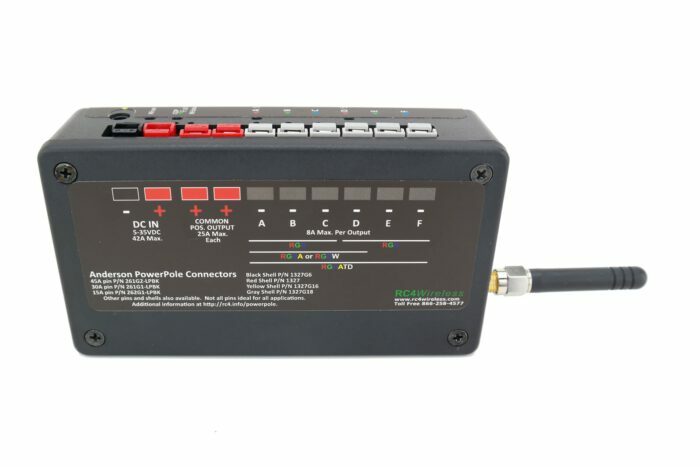 Anderson Powerpole connectors are provided for connection of the power supply (+/-DC IN red/black) and load devices (two red +OUT terminals, -DimA grey, -DimB grey, -DimC grey, -DimD grey, -DimE grey, -DimF grey). The supply powers both the internal electronics and the connected loads. Dimmers switch on the negative side of the circuit, ideal for common-anode (common positive) LED tape and panels. The dimmer output voltage is precisely the DC power input voltage with no appreciable losses within the 42A total power handling of the device. When operating at or near the maximum power capacity, Anderson 45A pins must be used at the power input, all wiring must be appropriately sized and in compliance with applicable electrical codes, and external fuses or circuit breakers should be used at the power source and in each individual dimmer circuit. RF Antenna: external, omnidirectional supplied. 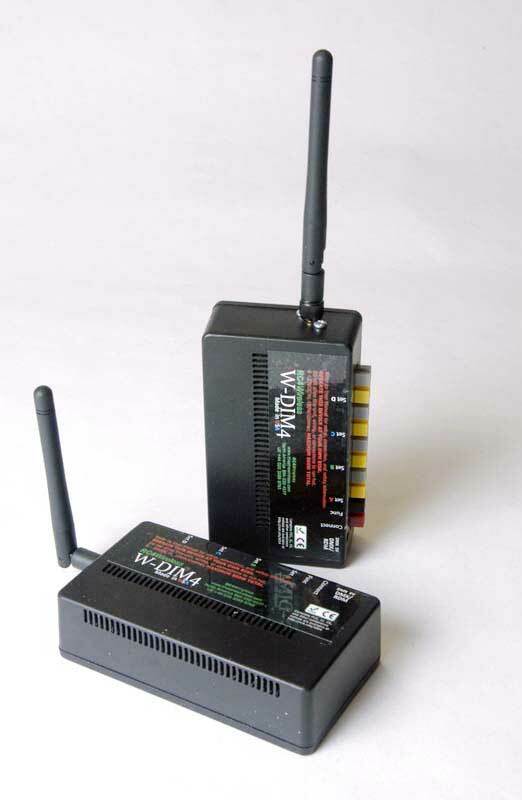 A wide variety of alternate antennas are available. This is a B2B online store. All pricing is displayed exluding VAT.